Weighs approximately 4.5 ounces. 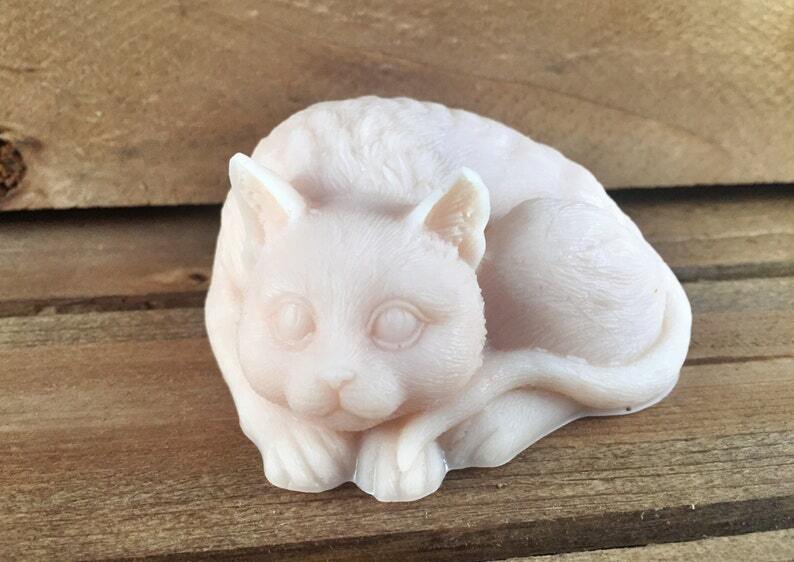 The Sultry cat soap is approximately 7.5 x 6.5 х 4 cm. Please Etsy convo me for information about bulk orders/discounts. 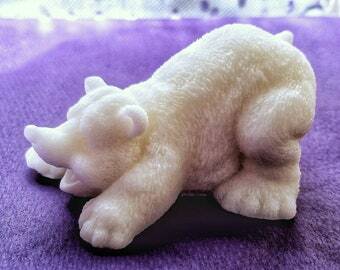 For custom orders or larger quantities, please Etsy convo me. Please feel free to convo me if you have any questions at all. 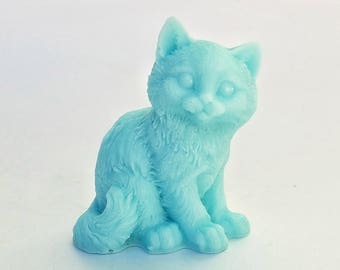 This listing is for one cat soap. To keep the lawyers happy, I am supposed to tell you not to eat the soap. I know they smell delicious but please - don't eat it. This was exactly as advertised and the receiver loved it!